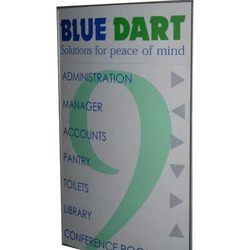 Manufacturer of a wide range of products which include reception signage and modular signage. 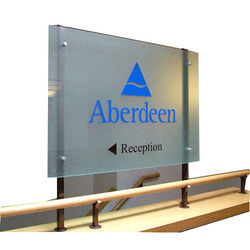 We offer an innovative range of Reception Signage at affordable price. We develop them by finest quality raw materials and user specific specifications. We incorporate eye catching designs in these products. We offer some finest designs in our products. These products are widely demanded for their durability and resistant properties. Our range is cost effective and available in both metallic and non metallic varieties. We supply superior quality Modular Instruction Signage to our valued customers. These products are used for display. We manufacture them from finest quality raw materials that are sourced from reliable vendors. They find their application in the highways, shopping destinations, automatic machines and other instructing points in manufacturing industries. Offered range is available at industry leading prices. 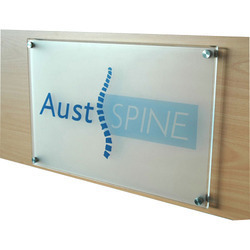 We have a innovative range of Reception Signage and we have provided this signage’s to almost more than 500 corporate. With the edge of vast experience and classic interior designing sense Our expertise designers craft the signage and make it look exquisite leaves everlasting impression on your guest. The signage’s are available in metallic and non metallic variety. Looking for Indoor Signages ?